Today’s review is something different. We haven't reviewed a book in a while now and never a cook book before, but then variety is always good, right? 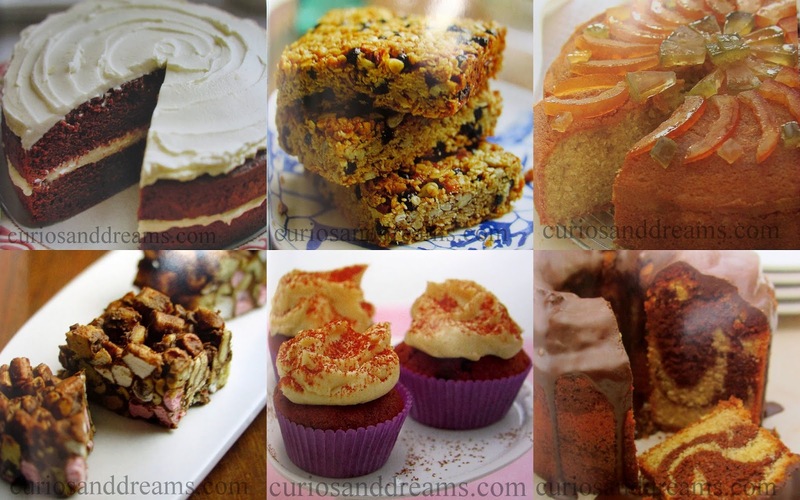 So today I am sharing with you all a wonderful baking book! Yes, BAKING! It is something that most of us struggle at, incredibly difficult to get right, and I know some of us have never even attempted it. But, baking does not have to be that scary or complicated! You just need the proper guidance and instructions....oh, and the precise measurements. Simply Baking by Parragon Books Ltd has an amazing collection of recipes, the exact measurements needed, easy to follow instructions along with stunning photos of each. I do know that even if you are feeling lazy, you will be tempted to try just by looking at these photos! (It has happened to me... and I am so making those marshmallow sandwiches today!!) You need not go out in search of your favourite treats every time... try giving them a homespun touch instead. Be it cookies, the classic cakes or new ones with a scrumptious twist, brownies, cupcakes and muffins and different desserts...the book has them all. It covers around 95 recipes for people at different levels, beginner leisure ones to some fabulous pro kinds. Each recipe is set out neatly and is really easy to follow. I do like the step wise way they are put instead of long paragraphs. The book rightly says that “There is something extraordinarily satisfying about baking. It’s partly the sheer magic of taking a few simple ingredients and turning them into a luscious family cake, a batch of tasty chewy granola bars or a tempting pile of cookies.” So, what are you waiting for? Go ahead and get yourself a copy and believe me when I say – It definitely is magical when you bake something yummy! And this a great book to start with or gift a new baker perhaps. You wouldn’t be disappointed. (We have shared some baked recipes before - macarons, cookies etc. you can find them in our Recipe Section here).